Lunagirl Moonbeams by Lunagirl Vintage Images: ESBQ online art show: All about Alice! ESBQ online art show: All about Alice! The ESBQ online artist community regularly has online exhibits in which artists can enter their artwork. 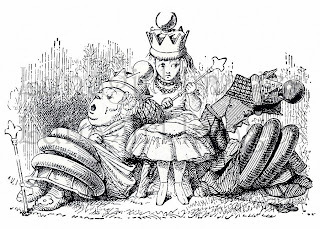 Right now they are accepting entries on the theme of Alice in Wonderland! 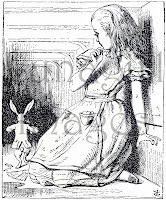 Anything about Alice or what she found in Wonderland or Through the Looking Glass is invited, and there are no media restrictions ~ any and all materials are OK! We love the idea of an online art show, and we offer our Alice in Wonderland collage sheets to get you started creating your own entry. You'll find them here: http://www.lunagirl.com/W-Lunagirl-Collage-Sheets-ALICE.htm. If you prefer the individual images rather than the collage sheets, you'll find them on our Angels Fairies Fairy Tale Art CD: http://summertownsun.com/victorian_angels.htm. They are taking entries until January 31st. Happy New Year Moonday Free Image!